From Writer/Producer and Director Oren Moverman comes a dark and intensely poignant drama about one of our countries saddest state of affairs ~ HOMELESSNESS. 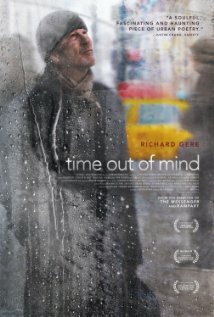 Richard Gere heads an all-star cast playing George ~ the homeless man struggling on the streets, but with a past that included a loving family and a great job. That is until, by no fault of his own, he looses his job, and shortly thereafter, his beautiful wife to Cancer, sending him and his little girls lives into shambles.